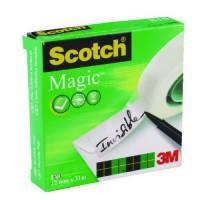 3M Scotch Magic Tape 12mmx66m 8101266 Pack of 2 3M Scotch Magic Tape It's invisible in use and can be written on. Ideal for paper repairs and sealing. Won't ghost on photocopies or yellow with age. Each roll measures 12mm x 66m. 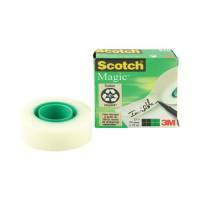 Scotch 19mmx33m Magic Tape 8101933 Pack of 1 3M Scotch Magic Tape It's invisible in use and can be written on. Ideal for paper repairs and sealing. Won't ghost on photocopies or yellow with age. Each roll measures 19mm x 33m. 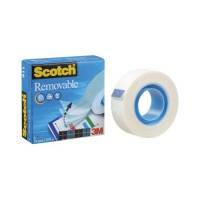 Scotch 19mmx66m Magic Tape 8101966 Pack of 1 3M Scotch Magic Tape It's invisible in use and can be written on. Ideal for paper repairs and sealing. Won't ghost on photocopies or yellow with age. Each roll measures 19mm x 66m. 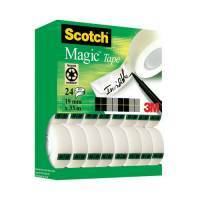 Scotch 25mmx66m Magic Tape 8102566 Pack of 1 3M Scotch Magic Tape It's invisible in use and can be written on. Ideal for paper repairs and sealing. Won't ghost on photocopies or yellow with age. Each roll measures 25mm x 66m. 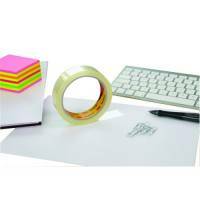 Scotch 810 Magic Tape 12mmx33M Pack of 1 "3M Scotch Magic tape the ideal office tape almost invisible in use and unaffected by sunlight, moisture or temperature change. You can write on it, type on it, and photocopy it without leaving a ghost mark. 12mmx33m." 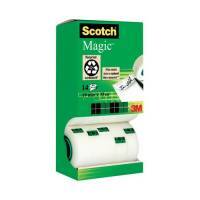 Scotch 19mm x 33m Magic Tape Pack of 12 with Free Black Dispenser ) SM12 Pack of 1 3M Scotch Magic Tape It's invisible in use and can be written on. Ideal for paper repairs and sealing. Won't ghost on photocopies or yellow with age. Each roll measures 19mm x 33m. 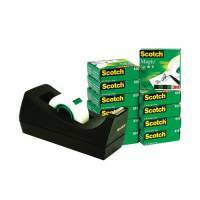 12-rolls 19mmx33m Tape Dispenser - Black. Scotch Clear Magic Tape 19mmx33m Tower Pack (Pack of 12+2 Free) 81933R14 Pack of 1 Magic tape tower pack of 12 rolls of 19mm x 33m tape plus two rolls free. Virtually invisible tape with a cellulose acetate backing manufactured using natural fibre resources and solvent free adhesive. Does not ghost on photocopies or yellow with age. 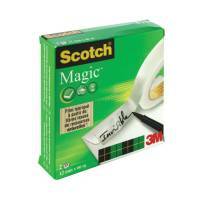 Scotch Magic Tape 19mmx25m on Dispenser (Pack of 12) 8-1925D Pack of 12 "Scotch Magic Tape. 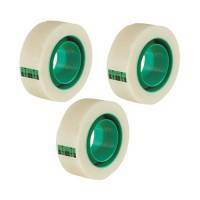 The ideal office tape almost invisible in use and unaffected by sunlight, moisture or temperature change. You can write on it, type on it, and photocopy it without leaving a ghost mark. Size: 19mmx25m with dispenser." 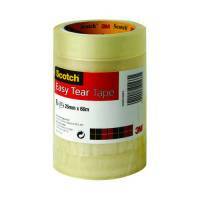 Scotch Magic Tape 19mm x 33m Pack of 16 with Free Black and Silver Dispenser 8-1933R16060 Pack of 1 Scotch 810 Magic Tape with Free Dispenser. 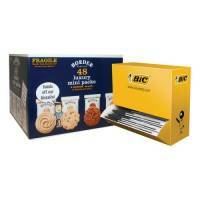 Each pack contains 16 rolls of 19mm x 33m Scotch Magic Tape plus a weighted black and silver tape dispenser. Scotch Magic Tape Tower Pack 19mmx33m (Pack of 8) 8-1933R8 Pack of 1 Magic tape tower pack of 8 rolls of 19mm x 33m tape. Virtually invisible tape with a cellulose acetate backing manufactured using natural fibre resources and solvent free adhesive. Does not ghost on photocopies or yellow with age. 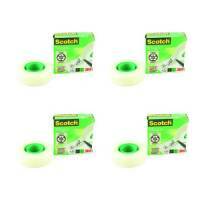 Scotch Magic Tape 19mmx25m Refill Rolls (Pack of 3) 8-1925R3 Pack of 1 3M Scotch Magic Tape. It's invisible in use and can be written on. Ideal for paper repairs and sealing. Won't ghost on photocopies or yellow with age. Each roll measures 19mm x 25m. Pack of 3. 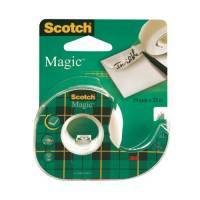 Scotch Magic Tape 19mm x7.5 Metres 81975D Pack of 12 3M Scotch Magic Tape 81975D. 19mm width. 7.5m roll. Invisible in usage and can be written on. Ideal for paper repairs and sealing. Q-Connect Invisible Tape 19mm x 33m KF02164 Pack of 1 "Q-Connect Invisible Tape, mends tears without a trace. You can write on it, type on it, photocopy it or fax it without leaving a ghost mark. Size: 19mmx33m."